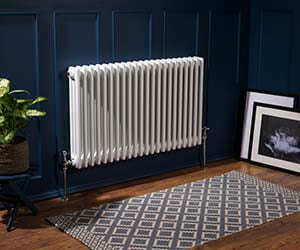 Product : Radiator Looks and works well. Outstanding company to deal with . Answered every question and query I had. The product was delivered on time and a replacement sent the next day. Excellent service and I don’t just have this item but my full bathroom from these guys and also got my downstairs bathroom so I can fully recommend bathroom takeaway. Service rating : The thermostatic valves were great value & fast postage. We found them easy to fit & they work well. Much better than others that cost much more. Service rating : Delivery service and call centre staff are very helpful. 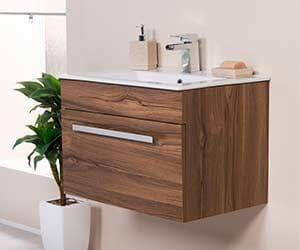 Product : First unit delivered had a fault in the veneer running through the whole unit.A replacement was sent and this was exactly the same,someone checked the rest of the stock and apparently they are all faulty,a shame... Read More. Service rating : Delivery service and call centre staff are very helpful. Product : First unit delivered had a fault in the veneer running through the whole unit.A replacement was sent and this was exactly the same,someone checked the rest of the stock and apparently they are all faulty,a shame as I really liked this product. Thank you for taking the time in leaving feedback for us, I am sorry to hear this. Firstly please accept my apologies that the bath arrived damaged. I can see that you reported the bath damaged on 5th April and we arranged for a replacement bath to be dispatched out to you straight away and this was delivered on 8th April, we did arrange collection of the bath the next day 9th April however I can see that this failed, this has been reported. Please accept my apologies for this and if you would like to speak to me further please don't hesitate to call me on 0333 305 8200. Good afternoon, Thank you for taking the time in leaving feedback for us, I am sorry to hear this. Firstly please accept my apologies that the bath arrived damaged. I can see that you reported the bath damaged on 5th April and we arranged for a replacement bath to be dispatched out to you straight away and this was delivered on 8th April, we did arrange collection of the bath the next day 9th April however I can see that this failed, this has been reported. Please accept my apologies for this and if you would like to speak to me further please don't hesitate to call me on 0333 305 8200. Kind regards, Richard (Customer Service Supervisor). Very pleased would recommend and I would use again. Service rating : Everything was well packaged and arrived in a reasonable time, and the quality of the goods are very good for the money I paid. I would recommend the company and definitely use them again. Now awaiting plumber to fix it--I don't think he will be as speedy! Service rating : Arrived quite promptly. However the plastic protection caps on all four corners of this heated towel rail were broken although still hanging on. Luckily the screw thread ends were undamaged and not dented.Chrome finish intact. Have yet to find a plumber to fit this Towel... Read More. Service rating : Arrived quite promptly. However the plastic protection caps on all four corners of this heated towel rail were broken although still hanging on. Luckily the screw thread ends were undamaged and not dented.Chrome finish intact. Have yet to find a plumber to fit this Towel heater. Product : arrived promptly .However the plastic protector caps were broken on all for corners. Luckily the screw threads were undamaged and the corners not dented .Chrome finish intact. Delivered when promised which is very good as not sat in all say waiting. Product : Excellent high quality item!! "Very professional and fast. Well packed and promptly delivered. The radiator is lovely ... very happy with it. 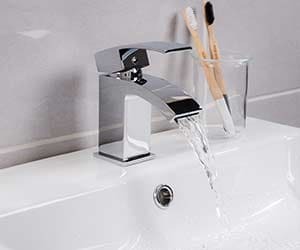 Very stylish and a great addition to the new bathroom." "Quite simply the service one would expect in this day and age but seldom gets. Very quick delivery no problems, thank you all." Buying bathrooms online should be as easy as 1-2-3. Simply choose from the latest range of designer quality styles, click to order, then sit back and let us deliver it to your door. No gimmicks, no never-ending sales, no confusing pricing. 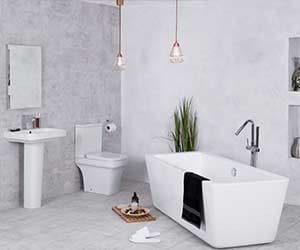 As we work direct with the best bathroom manufacturers from around the globe, there are no middlemen, no expensive showroom costs and no sales commissions – that’s why we can pass the savings directly on to you – every single day. 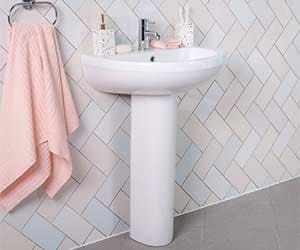 From bathroom suites to cloakroom toilets, showers and ensuites to taps and towel radiators, all our ranges offer exceptional quality and even better value for money. So, whether you are on a budget or looking for a designer style, we are sure to have something for you. 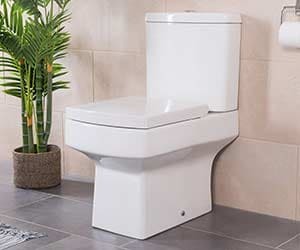 Established since 2010, Bathroom Takeaway® Limited is a UK company with a wide range of bathroom products in stock, quality checked and ready for delivery at our National Distribution Centre based in Trafford Park, Manchester. Customers are our main focus, and we offer a comprehensive ‘Fit and Forget’ Quality Guarantees on all products as standard.